Congratulations to Zhuoying on her first paper in Chemistry of Materials title “Role of Na+ Interstitials and Dopants in Enhancing the Na+ Conductivity of the Cubic Na3PS4 Superionic Conductor”. 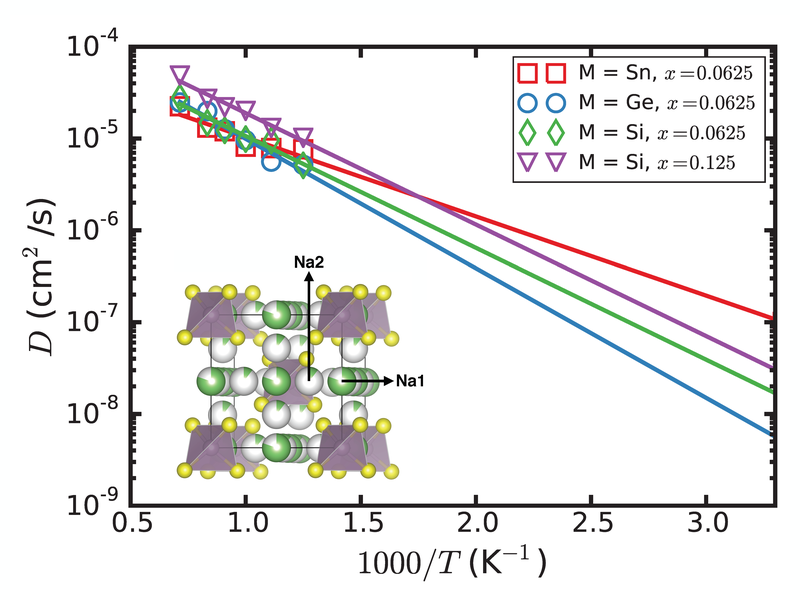 In this work, we studied the effect of Na+ interstitials on the stability and ionic conductivity in the highly promising cubic Na3PS4 superionic conductor. We find that dopants significantly enhance the Na+ ionic conductivity and predict that Sn4+ doping may yield higher conductivities than previously achieved. The other authors are Iek-Heng Chu and Zhi Deng. Congratulations to Paul on his first paper in Chemistry of Materials. This paper investigates interfacial effects in the ε-LiVOPO4 multi-electron cathode material.